Order in the next 5 hours 46 minutes for delivery on Tuesday, April 30. 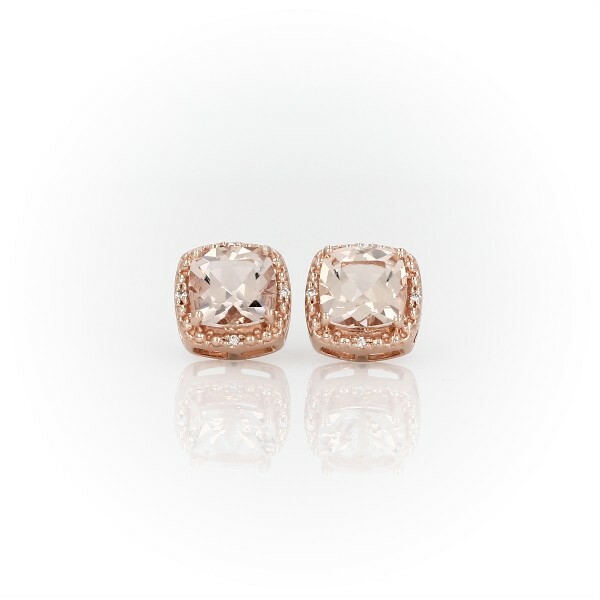 Add a whisper of color to your look, or your big day, with these morganite and diamond halo stud earrings. Faceted cushion-cut pink morganite gemstones are encircled by dainty pavé-set diamonds set in 14k rose gold.